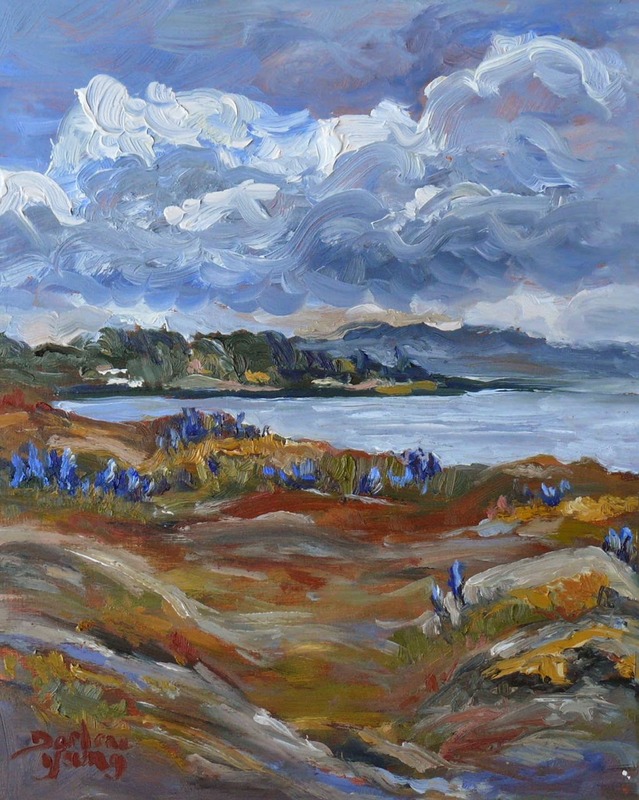 Cattle Point is usually so windy its hard to paint. But today was just perfect. The blue Camas Lilies are in full bloom. This coming Sunday is Camas Day. Oaklands Park will be having activities to celebrate and teach people about Camas and other native plants I plan to do a painting there that day if anyone wants to join me please just show up.